File system fragmentation is a major cause of sluggish performance on Windows. The default Windows Disk Defragmenter does a passable job of the basics, but Auslogics Disk Defrag Pro ($29.95) goes above and beyond. It offers faster performance, boot-time defragmentation of system files, and all the information, features, and options you’d ever want. It can optimize the placement of files on your disks, placing frequently accessed files at faster locations and infrequently accessed files at slower locations. 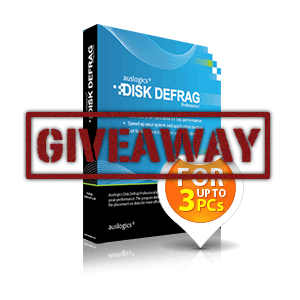 We’re giving away 25 copies of Auslogics Disk Defrag Pro for Windows worth a total of $750 to 25 lucky readers this week! Read on for your chance to win. Auslogics Disk Defrag Pro detects solid-state drives and drives with the Windows Volume Shadow Copy service enabled (used for System Restore and Windows Backup) and uses special algorithms for them. Launch Auslogics Disk Defrag Pro and analyze your disks to see their fragmentation levels and view more information. Auslogics Disk Defrag Pro sees more fragmented files than the default Disk Defragmenter included with Windows – at least it did on my systems. However, other defragmentation tools also saw higher defragmentation than Windows did – the Windows Disk Defragmenter just can’t touch all the files other programs can. Auslogics Disk Defrag Professional offers configurable priority levels – if you’re using your system while it’s being defragmented, setting the priority to “Low Priority” will reduce the performance impact of the defragmentation process. You can also create your own priority levels (known as “resource profiles”) to better control the defragmentation process. After fragmentation is complete, you can view detailed fragmentation reports on the Reports tab. You can also have Disk Defrag Pro perform an action when it finishes defragmenting your hard disks – for example, you can set it to shut down your computer when the process completes. Disk Defrag Pro can also perform offline defragmentation. When you activate offline defragmentation, Auslogics Disk Defrag Pro will run the next time you boot your computer, before Windows starts. This allows the application to defragment system files that are in use by Windows, including the paging file, hibernation file, and registry files. By default, Auslogics Disk Defrag Professional uses the “Simple Defrag” profile. This profile is the fastest because it just defragments files and doesn’t do anything special with their layout on the disk. It includes quite a few other profiles, though – for example, you can have it lay out your files for maximum free space. Different areas of your disk have different access times. By default, Windows places files on the disk without any thought to which files belong in which areas of the disk, but Auslogics Disk Defrag Pro can optimize the placement by a variety of parameters. For example, the Optimize by Prefetch Layout profile uses the Windows prefetch data to place your frequently used program files in the faster areas of the disk. You can also optimized by file access or change time – or even manually specify which files belong in which areas of the disk. The Optimize by Disk Zone profile contains default settings that place media files in slower locations, while placing program files and other system files in faster locations. All of these profiles are completely customizable. You can even create your own profiles. 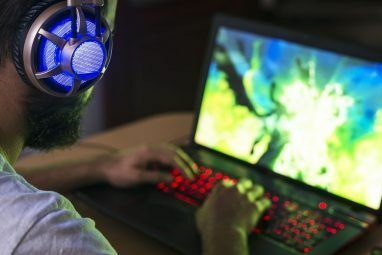 If you’ve got something – say, a game folder – you want to quickly defragment without going through a lengthier defragmentation process, you can defragment a specific file or folder. Windows Explorer integration can make this even easier by allowing you to defragment files from their right-click menus. To enable this option, click the Settings menu and select Program Settings. You’ll find this option on the Integration tab. The Scheduler tab allows you to schedule defragmentation tasks, set up automatic defragmentation, and schedule offline defragmentation tasks that occur at boot. You can specify different defragmentation profiles and priority levels for each task. The automatic defragmentation feature can automatically defragment your system whenever you step away, assuming the program is open. This can help keep your file system defragmented without slowing your computer down while you’re using it. By default, the defragmentation process will start after you’ve been away from your system for 15 minutes after you enable this feature. It stops when you move your mouse or start typing, only to resume the next time you leave your computer. If these options seem a bit much for you, use the wizard. It asks you a few questions and sets up the ideal scheduled defragmentation tasks for your system. Click the Action menu and select Defrag Wizard to launch the wizard. The Pro version contains quite a few features that aren’t included in the free version. The free version gives you access to the basic defragmentation features, but you miss out on offline defragmentation, profiles that optimize file placement, support for solid state drives (SSDs), priority level options, scheduling options, reports, and the wizard. Auslogics offers a free, fully functional 30-day trial — download it and give it a try while you’re waiting to win one of the 25 copies we’re giving away this week. Congratulations! If you were selected as a winner, you would have received your license via email from jackson@makeuseof.com. If you require any assistance, please get in touch with jackson@makeuseof.com before May 18. Enquires beyond this date will not be entertained. This giveaway begins now and ends Friday, May 11th. The winners will be selected at random and informed via email. Explore more about: Computer Maintenance, Defragmentation, Hard Drive, MakeUseOf Giveaway. Please make another giveaway of Auslogics Disk Defrag Pro. I agree that auslogic is a great tool. You forgot to talk about the fast zone. Here is a good description of it! I agree, Joanna Piotrowska (from third post) is stupid cheat. Thanks for the giveaway, was delighted to win a pro version of this program, just done the defrag, what a difference already, thanks again for the registry key, and thanks to MakeUseOf, you rock. Woah! I just received the winning notification email. Thanks for this wonderful offer and providing me with an opportunity to participate on it. Been using the free version for a long time now. Would be great to have the PRO version. Best tools for defragmenting and optimizing hard drives. Please couny me in. Thanks! Auslogics Disk Defrag Pro - is a paid version of one of the best tools for defragmenting and optimizing hard drives. Auslogics Disk Defrag Pro allows for accurate and fast defragmentation, because special and unique algorithms, leading to a system startup, programs and overall performance improvement. I signed into Facebook and navigated to https://www.facebook.com/makeuseof/app_171513306241558 to get the code. There I see 5 black bars, one of which is labeled "defrag". Clicking on any of the bars did nothing. I had clicked on "Like" on the previous screen. znakomity produkt do defragmentacji plików.prosze mnie liczyc. For a long time to defragment only use Auslogics Disk Defrag 3 and this is my opinion the best program of its kind. It is efficient and effective. After the release of the Pro version, installed it and am happy to say that it is even better, more powerful and effective. So please do Count Me.